Summer Trees Vol.1 includes six species of common European and North American trees in three ages. 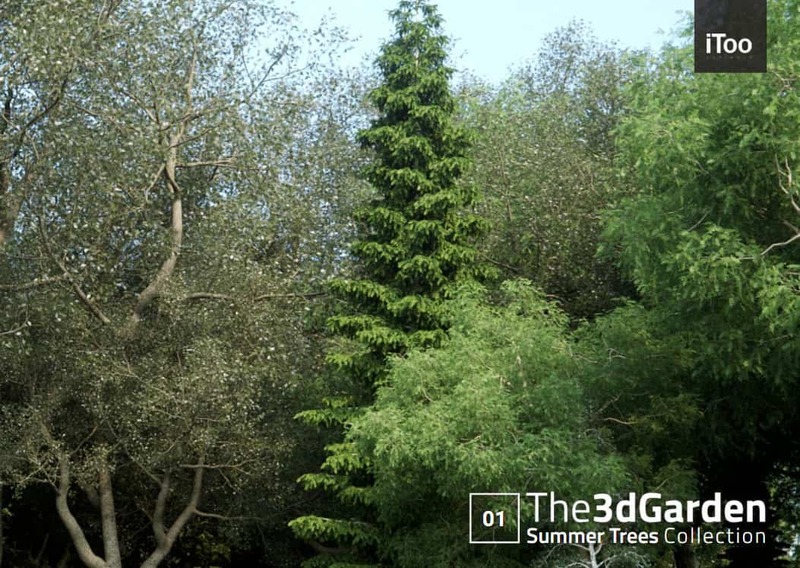 There are four variations available for each age to create a comprehensive library of 72 trees. Available integration with Forest Pack.